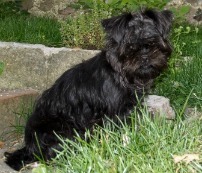 Affenpinscher. Everything you want to know about the Monkey Dog! 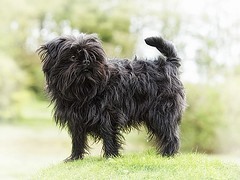 Although the Affenpinscher dog breed may look like terriers, they are actually from the pinscher-schnauzer family which makes them more tolerant towards other dog and pets. They are inquisitive, affectionate and playful and are very loyal and protective towards other family members although they can be a little territorial when it comes to their food or toys so they are not advised for families with very small children. Affie's are prone to doing some pretty crazy stuff - like eating random items such as rocks, lipsticks, insects etc and for walking around on their back legs! They need firm training as sometimes they can difficult to house-break and their training does need to be varied as they can become bored with the same routine over and over again. They are quiet dogs on the whole though can become noisy when over-excited or threatened. They are extremely courageous and show no fear towards any aggressors. These tiny mustached devils do not require a huge amount of exercise – they will be quite happy to receive all their exercise by running around inside your home. However, as ratters, they do enjoy being outside too so try to give your dog the best of both worlds. Affenpinschers are of German origin – in fact the word “Affe” means “Monkey” in German so the name literally means “Monkey Terrier”. Their breed pre-dates a similar little terrier, the Brussels Griffon or “Monkey-Face Dog”. In fact, Affenpinschers were an important component in the production of both the Brussels Griffon and the Miniature Schnauzer. They were originally bred down from larger terriers to become miniaturised to be effective rat and other rodent killers, becoming domesticated in the early 18th century although records show that they have been around since at least the 16th century. They were a favourite of the great artist Renoir who included several of this playful breed within his paintings. German film stars and fashionable ladies were often seen with Affies tucked under their arm when out and about. 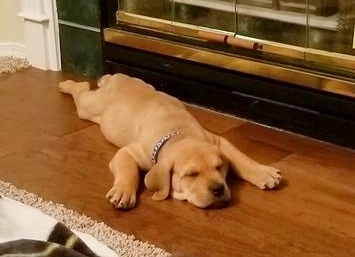 The breed was imported into America in 1950 and gained popularity so quickly that there are now more Affenpinschers in the US than in the rest of the world all put together. The breed is still relatively new in Britain, where it was introduced in 1975. Despite their German origin, Germany has one of the lowest levels of registrations worldwide – often only single figures. Read all about Mister Stevie Wonderful - one of our reader's, Deanna Lanier, dogs. Mister Stevie is a real character by the sounds of it! The Monkey Dog, as they are affectionately known, are easy to train as they are intelligent and enjoy mental stimulation. However, they do get bored easily so you should try to keep the training short, frequent and varied. Use lots of positive enforcement to encourage and reward good behaviour. Thanks to their courageous personality, Affie's make excellent guard dogs. They are loyal to their families, slow to make friends with strangers and slightly territorial. 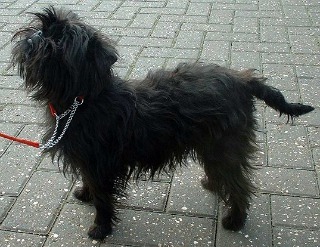 These dogs have short, wiry, coarse hair which naturally looks shaggy and messy.They require very little grooming and no trimming. They should be brushed occasionally to stop their hair from getting too messy and a soft nylon bristled ladies hair brush is ideal to use. Their little cheeky monkey face should be enhanced and any hairs found growing down inside their ears should be removed to stop any infections from occurring Their tail resembles a Christmas Tree if left natural or a cigar if groomed for show. 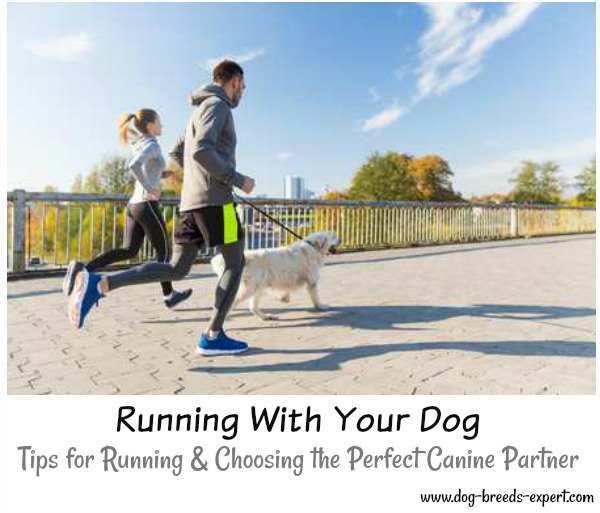 They are generally regarded as a very low shedding dog and as a hypo-allergenic dog breed so could be good for people who are allergic to dogs. 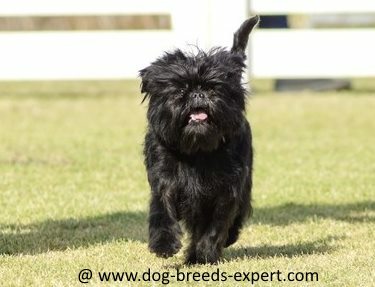 The Affenpinscher dog breed is generally a healthy one although the following diseases have been reported. 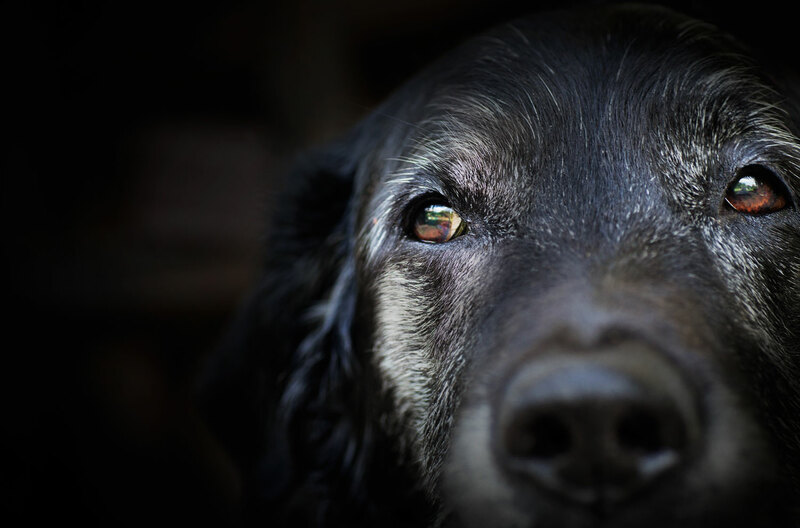 Don't worry, your dog is not likely to be plagued with these issues especially if you have found a reputable breeder who does testing on the parents before breeding. I found this video of a really cute Affie called George running around a beach. Apparently he is barking at a washing line of clothes! He looks so excited and happy to be there that I couldn't resist posting this - I love his little wagging, scruffy tail!